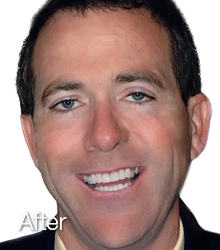 Lumineers®, one of several brands of thin veneers, are skinny shells of porcelain bonded to the front of your teeth. Lumineers are created with comfort and simplicity in mind. By using our ultra-thin Lumineers, you can have a brand-new smile without shots, pain in just two visits. Once your Lumineers have been created from impressions of your upper and lower teeth, our skilled dentist, Dr. Marvin Herschfus will evaluate the fit and appearance with you. Then they will be bonded with special adhesive technology to your teeth. Our dental team will provide detailed instructions on how to take care of your Lumineers. We will also examine them during your routine visits to make sure everything is working as it should. 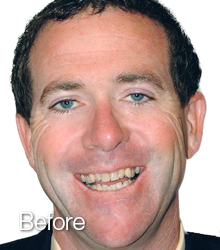 To find out if veneers are right for you, please call or visit our dental office today. We are happy to answer your questions and schedule your cosmetic consultation with Dr. Marvin Herschfus.